D. Arteaga, R. Cotta, A. Ortiz, B. Insuasty, N. Martin, L. Echegoyen, Zn(II)-porphyrin dyes with several electron acceptor groups linked by vinyl-fluorene or vinyl-thiophene spacers for dye-sensitized solar cells - Dyes Pigm. 112, 127-137. J. Ramírez, L. Svetaz, J. Quiroga, R. Abonia, M. Raimondi, S. Zacchino, B. Insuasty, Synthesis of novel thiazole-based 8,9-dihydro-7H-pyrimido[4,5-b][1,4]diazepines as potential antitumor and antifungal agents – Eur. J. Med. Chem. 92, 866-875. P. E. Romo, J. Quiroga, B. Insuasty, M. Nogueras, J. Cobo, 6-(4-Amino-1-methyl-2-(methylthio)-6-oxo-1,6-dihydropyrimidin-5-yl)-3,6-dimethyl-2-(methylthio)-6,7-dihydro 3Hpyrrolo[2,3-d]pyrimidine-4,5-dione - Molbank, M842. B. Insuasty, J. Ramírez, D. Becerra, C. Echeverry, J. Quiroga, R. Abonia, S. M. Robledo, I. D. Velez, Y. Upegui, J. Muñoz, V. Ospina, M. Nogueras, J. Cobo, An efficient synthesis of new caffeine-based chalcones, pyrazolines and pyrazolo[3,4-b][1,4]diazepines as potential antimalarial, antitrypanosomal and antileishmanial agents - Eur. J. Med. Chem., 93, 401-413. N. Urdaneta, V. R. Landaeta, R. E. Rodríguez-Lugo, C. Díaz, G. Santiso-Quiñones, J. Quiroga, B. Insuasty, Synthesis and Characterization of Cu(I) and Zn(II) Complexes Bearing New Sulfur-Bearing Isoxazole- or Pyrazole-Based Ligands – Inorg. Chem. Commun. 55, 43-47. P. Acosta, B. Insuasty, R. Abonia, J. Quiroga, Annelation of pyrrolo[1,2-a]pyrimidine and pyrido[1,2-a]pyrimidine system to pyrazolopyridine framework by cascade condensation and cyclization reaction – Tetrahedron Lett. 56, 2917-2921. P. Acosta, E. Butassi, B. Insuasty, A. Ortiz, R. Abonia, S. A. Zacchino, J. Quiroga, Microwave-assisted synthesis of novel pyrazolo[3,4-g][1,8]naphthyridin-5-amine with potential antifungal and antitumor activity – Molecules 20, 8499-8520. 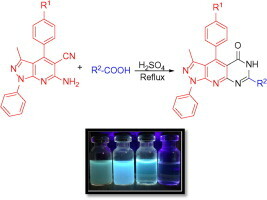 J. Quiroga, P. Acosta, A. Ortiz, B. Insuasty, R. Abonia, Synthesis and study of fluorescense properties of novel pyrazolo[4',3':5,6]pyrido[2,3-d]pyrimidin-5(6H)-one derivatives – J. Molecular Struct. 1097, 69-75. P. Acosta, D. K. Becerra, S. Goudedranche, J. Quiroga, T. Constantieux, D. Bonne, J. Rodriguez, Exploiting the reactivity of 1,2-Ketoamides: Enantioselective Synthesis of Functionalized Pyrrolidines and Pyrrolo-1,4-benzodiazepine-2,5-diones – Synlett, 26, 1591-1595. 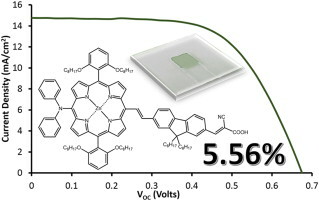 C. A. Echeverry, R. Cotta, E. Castro, A. Ortiz, L. Echegoyen, B. Insuasty, New organic dyes with high IPCE values containing two triphenylamine units as co-donors for efficient dye-sensitized solar cells - RSC Adv. 5, 60823-60830. J. Castillo, J. Quiroga, R. Abonia, J. Rodriguez, Y. Coquerel, The Aryne aza-Diels–Alder Reaction: Flexible Syntheses of Isoquinolines – Org. Lett. 17, 3374-3377. C. E. Diaz-Uribe, W. Vallejo, W. Castellar, J. Trilleras, S. Ortiz, A. Rodriguez-Serrano, X. Zarate, J. Quiroga, Novel (E)-1-(pyrrole-2-yl)-3-(aryl)-2-(propen-1-one) derivatives as efficient singlet oxygen quenchers: Kinetics and quantum chemical calculations – RSC Adv. 5, 71565-71572. J.-C. Castillo, J. Quiroga, R. Abonia, J. Rodriguez, Y. Coquerel, Pseudo-Multicomponent Reactions of Arynes with N-Aryl Imines – J. Org. Chem. 80, 9767-9773. J. Quiroga, J. Galvez, J. Cobo, C. Glidewell, (5RS)-6H-Spiro[pyrazolo[1,5-c]quinazoline-5,4'-thiochroman]: efficient synthesis under mild conditions, molecular structure and supramolecular assembly – Acta Cryst. C., 71, 1028-1032. N. Duque, M. Carabali, N. Benítez, J. Castillo, R. Abonia, Antibacterial in vitro assays of new -aminoethers and derivatives against Gram-negative and Gram-positive pathogenic bacteria – African J. Microbiol. Res. 90, 2111-2118. R. Oviedo-Ocaña, L. F. Marmolejo-Rebellón, P. Torres-Lozada, M. Daza, M. Andrade, Wilmar A. Torres-López, R. Abonia-Gonzalez, Effect of adding bulking materials over the composting process of municipal solid Biowastes - Chilean J. Agric. Res. 75, 472-480.